Stefano Campanella, born in 1964 in Putignano, Italy, lives with his family at San Giovanni Rotondo. He has been a parliamentary journalist and Vatican expert. Currently, he serves as director of Padre Pio TV and heads the press office of the religious province of Sant’Angelo and Padre Pio of the Friars Minor Capuchin. Zenit interviewed him to understand better the significance of the forthcoming events that will accompany the journey of the relics of Padre Pio from San Giovanni Rotondo to Rome. ZENIT: What is the significance of the transfer of Padre Pio’s body from San Giovanni Rotondo to Rome? Campanella: Pope Francis wanted two Capuchin priest-saints — Pio of Pietrelcina and Leopoldo of Castelnovo (Leopoldo Mandic, ndr), who have in common the tireless willingness to stay in the confessional for several hours a day, to absolve penitents and, on February 10, before the urns containing the relics of their bodies, he will confer a mandate to some 1,000 missionaries of Mercy. This means that the Holy Father wishes to propose both as models of ministers of Sacramental Reconciliation, to be given with love and without sparing oneself. ZENIT: Of what use for the faith, is the exposition of a Saint’s body? Campanella: The Christian religion is founded on corporeity, on the Death and Resurrection of the Son of God who was incarnated and made man, because it is precisely through the body that a dialogue is established between the Creator and the creature that He loves. Through its senses, the body supports reason in relating to the faith, which is an expression of the soul. In this perspective, the body of a Saint is a strong communicative valence: it evokes the history it lived and invites to understand that that course of evangelical life is humanly possible. In the specific case of Padre Pio, the body communicates even more, because he was “represented marked by the stigmata of our Lord,” as Blessed Pope Paul VI said on February 20, 1971, when meeting the General Superiors of the Order of Friars Minor Capuchin. In fact, the Saint of Pietrelcina not only received the seals of the crucifixion, namely the five wounds of the nails and of the spear that pierced Christ’s side, but he relived the whole of His Passion: the flagellation, the crowning of thorns and the wound that the weight of the cross caused on Jesus’ shoulder on the way to Calvary. These mystical experiences, which Padre Pio shared only with his Spiritual Directors and with a few elected souls, today render that body capable of reminding the men of our time of the immense sacrifice of love to which the God-made-man voluntarily submitted Himself 2000 years ago. ZENIT: Why is this gesture carried out during the Year of Mercy? Campanella: Because the Year of Mercy must not be conceived as an “automatic distributor” of indulgences. To cross a Holy Door, in order to take away completely every trace of sins already remitted with sacramental absolution, is only one of the aspects of this extraordinary time of grace. The Jubilee, as the rest of confession, is valid and has meaning if there is an earnest desire of conversion in the heart to change one’s life, to become genuine Christians, that is, to be ever more like Christ. And, because Christ’s <face> is the human face of the merciful Father, we will become ever more Christians to the degree that we become ever more merciful. Placed before those Saints that, men like us, limited like us, became living icons of Divine Mercy, helps us to understand the important concept expressed in Lumen Gentium and then taken up by Saint John Paul II in the Apostolic Letter Novo Millennio Ineunte: the universal vocation to sanctity, which means that we are all called to be saints like Christ. 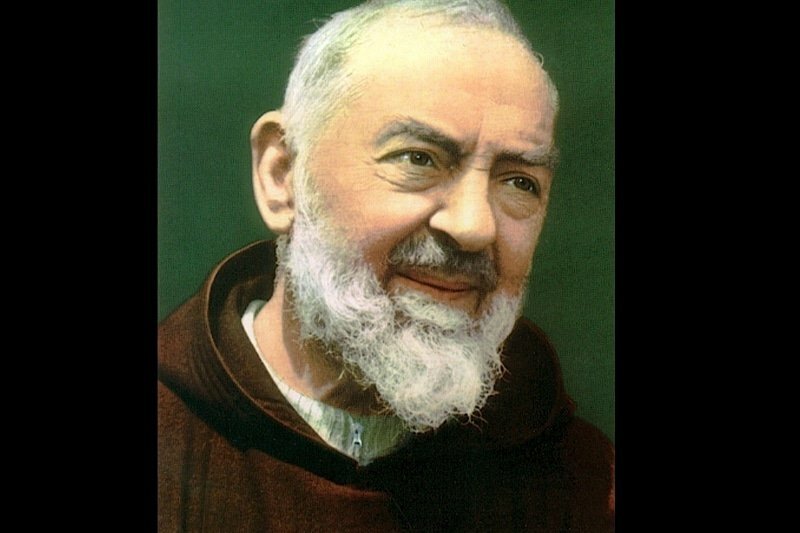 ZENIT: Why does Padre Pio still rouse so much devotion today? ZENIT: Can we say, therefore, that Padre Pio’s mercy is an expression of his priestly ministry? Campanella: Certainly, but not only. In the book, which is coming out in these days, entitled “Padre Pio’s Mercy,” and in the connected documentary entitled “Padre Pio: Builder of Mercy,” I illustrate the different works of mercy that the Saint carried out in his life (two hospitals, a center for professional formation, three shelters and a cooperative of consumption). His fellow friars realized, after his death, another important work dreamt by him: a series of rehabilitation centers, specialized above all for pediatric treatments. Moreover, both in the volume as well as the video I make concrete references to the capacity that Padre Pio had to forgive those who had wronged him. ZENIT: What pointers did Padre Pio leave to the Padre Pio Prayer Groups and to the dependents of the House of Relief of Suffering?